In this article I am going to explain how to resolve the Error: 40 – could not open a connection to SQL server. 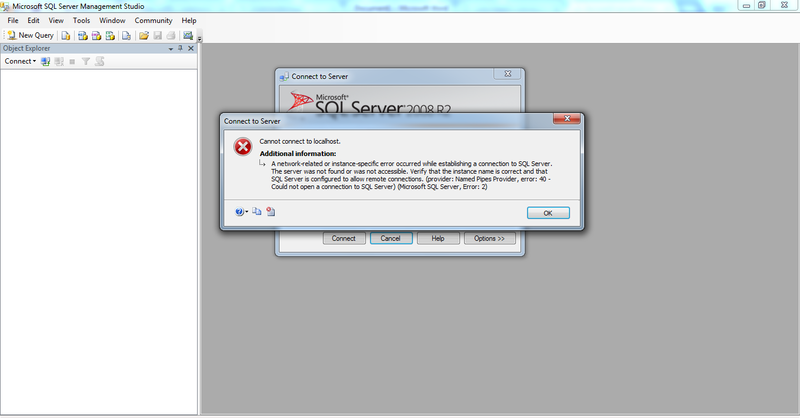 When I have started working on this error, found this error coming because of Sql server services stop working. 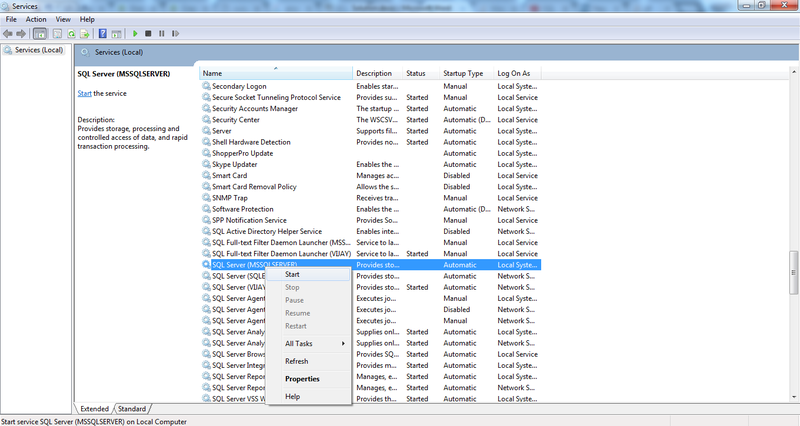 To start the Sql server services go to search program and files. Type “services.msc“and click on search button. Services window will be open. 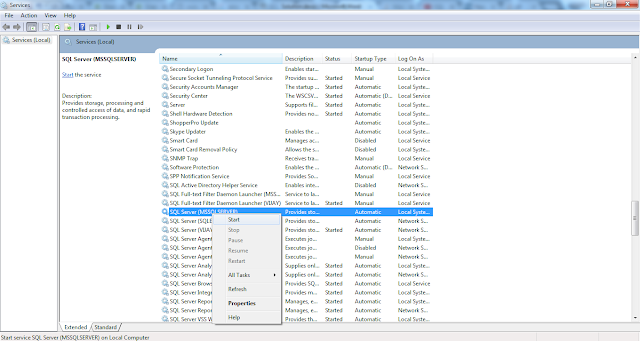 Now look for Sql Server (MSSQLSERVER) and right click on it. Select the Start option. When you choose the start option a progress bar popup window will be open. When progress completed successfully it will close itself. Now go to Sql Server and connect it. Hope this article will helps you to resolve this issue.